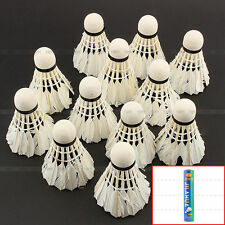 12Pcs white shuttlecocks badminton. 12 x Badminton Balls. Ideal for practice and casual playing. Good-quality teal feathers with durable foam head. Weight: 5g per piece. Quantity: 12. If you do not receive our reply within 48 hours, pls. 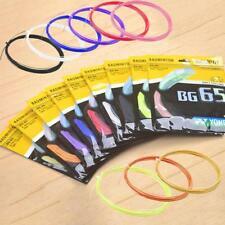 Item includes: one Badminton racket, one racket cover, one sweatband Badminton string (already strung), random color. Clapper material: high elasticity carbon. Beat material: highly flexible carbon. Item Code: DUORA10Orange/ green. Material:carbon fiber. balance:302(Head heavy). type :high end one -player Weight: 3U (89.8g). Weight(g):3U(85-89g). 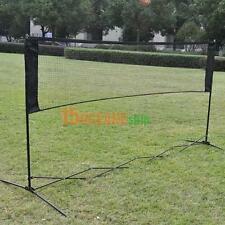 Can be lit 20 hours, badminton emphasis than can be used in low-light night. LED lights installed in the back of the cork, with On/Off push button. 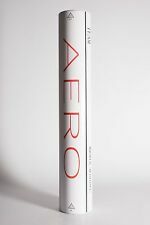 Color: Appearance white (light color is four colors green, red, blue, multiple colors). 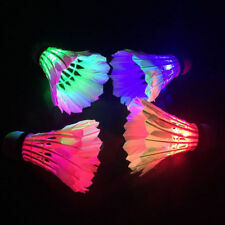 6pcs White Goose Feather Shuttlecocks Badminton. 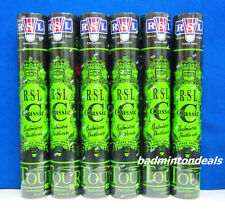 6 x Badminton Balls(in one tube). Material: Goose Feather, foam. 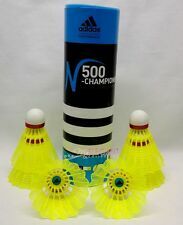 Ideal for practice,match and casual playing. We'd like to settle any problem in a friendly manner. 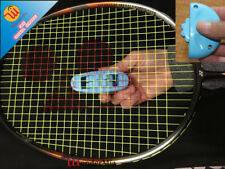 Can be used for tennis rackets, badminton rackets. 1 x Starting Clamp Stringing Tool. - It is used when the cable is started. It is suitable for any size of feather cable and any pull size. Detail Image. Racket Racquet 1. Racket Grip 1 (Random color). Level: Advance. Type: Fast / Attacking / Offensive. Shaft: H.M. Graphite, New Built-in T-Joint. 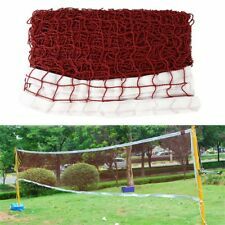 Item includes: one Badminton racket, one racket cover, one sweatband Badminton string (already strung), random color. Item Code:ARC 11. Clapper material: high elasticity carbon. Beat material: highly flexible carbon. 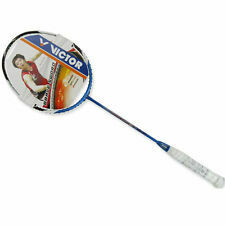 XVT Professional WHOLE CARBON Badmintion Racket. Material: Carbon Fiber. We have 4 colors,White,RED, Black,Yellow . 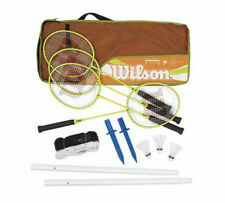 Item includes: one Badminton racket, one racket cover, one sweatband Badminton string (already strung), random color. 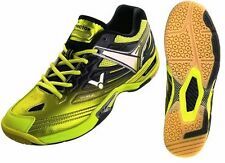 Item Code:VT Z-F II. Beat material: highly flexible carbon. Clapper material: high elasticity carbon. Compact & easy to use: spring-loaded flying clamp holds badminton strings firmly without damaging strings, helping you to string badminton rackets more neatly and easily. Good communication is the best way to solve any issues, we will try our best to solve it well. 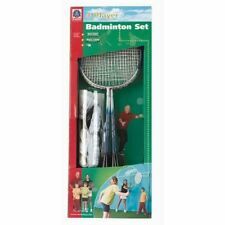 Sotx FA306 Badminton Racquet w/ string & grip! Racket Specification. Asking price: $140. Currently strung with BG 80 Power String at 26 lbs. String Tension: Cross: 26-30 Main: 24-28. Flex: Medium. Balance Point: 304mm. Li-Ning Windstorm 660 Badminton Racquet FOR SALE ! The Li Ning Windstorm 660 is part of the Extra Stiff series and is light weight racquet for players with fast racquet speed and quick hands Strung Weight: 81g Length: 67.5 cm Stiffness: Medium Currently strung with BG80 Strings t 23 lbs.